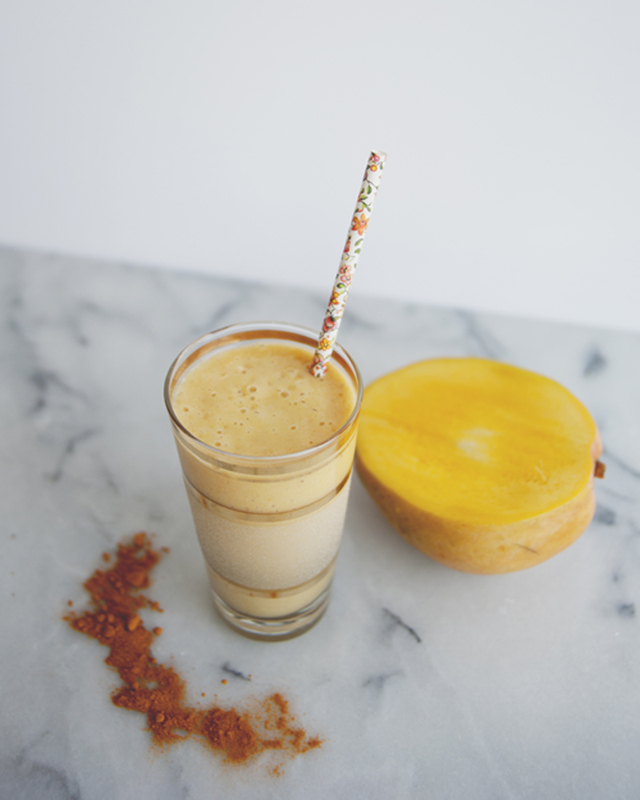 What better way to greet the morning after new years than with this revitalizing breakfast smoothie? 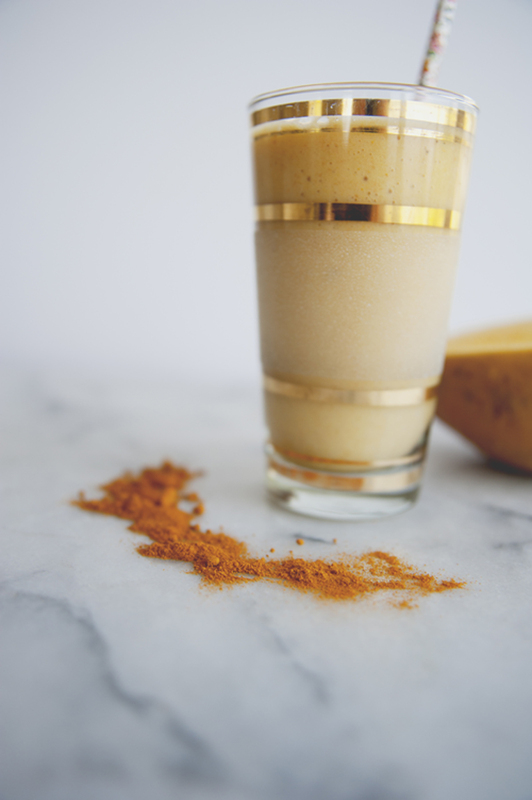 Make your first morning of 2016 an affirmation of health with sweet mango and spicy turmeric. 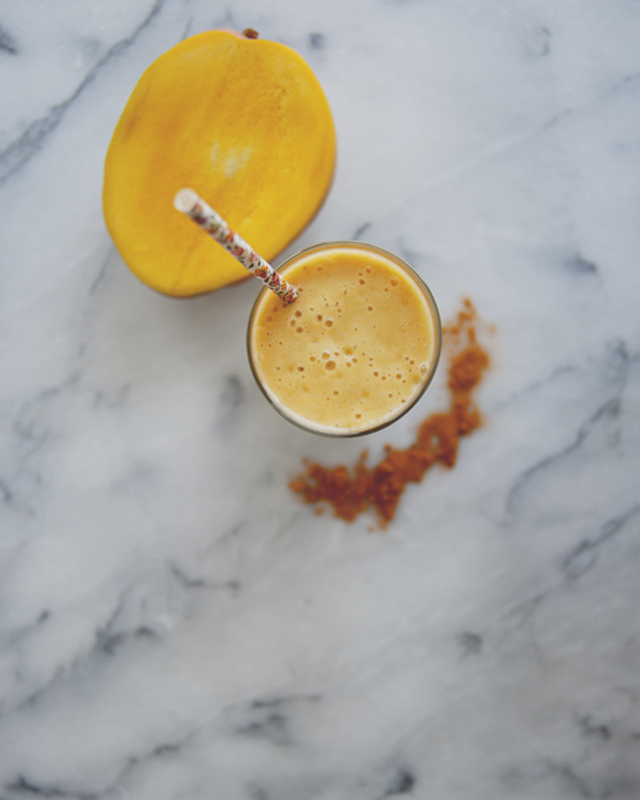 This smoothie blends vitamins, acids, beta carotene, and anti-oxidants, which makes it the perfect pick me up after the holidays. We hope everyone has a beautiful and safe New Years! Let us know what recipes you choose to start the year off right! This entry was posted in breakfast, drinks, Uncategorized and tagged easy, mango, refined sugar free, smoothie on January 1, 2016 by sweetlaurel.